An organization or small company hires candidates who are suited to their job description so that they execute the task assigned effectively. To execute the work properly, the employer employs specific methods of hiring candidates. This process of hiring is termed as recruitment. In short recruitment involves a firsthand view of the candidatures profile with description of their experience on prescribed formats or on paper which is normally said to be curriculum vitae or resume. Recruit freelancers when required, not full-timers. Hire candidates for the long term. Choosing passive candidates is good step. Have an office space that attracts candidates. Grace though your talent pool with drip emails. Optimize your hiring time by utilizing the available data. Plan to attract the best cultural fits. Hiding the pain points in your job posts. Using similar niche job boards. Make use of videos in few stages of recruiting process. Introduce mobile friendly application process. Make use of employee referrals. Training interviewers for using latest techniques. How to Recruit Best Employees? Recruiting and hiring top quality employees is a tough job but here we have mentioned few top recruitment tips for recruiters to select best employees. Many organizations struggle to hire candidates who suit their job vacancy and also their work culture. In this era where unemployment is high , finding the best candidate looks like a herculean task. Here are few best ways any small business can use to hire employees as per their requirement. Normally companies follow their own methodology of recruitment process. But every company need to keep certain factors in mind before embarking on the process. 1. The needs and goals of the company are identified and transferred to individual job descriptions. 2. The need of the company are converted to number of staff required to execute the assignment properly. 3. The goals of the company are also broken down into simplified form so that it is easily absorbed into individual job descriptions. 4. Each type of work is budgeted according to the hours of input for the task. 5. Based on the job description, the company plans out where they prefer to hire or recruit. 6. It also would give details of how the process should be conducted. 7. The document also includes methods of accommodating any sudden changes to the process. 8. Finally, it would also include the method of evaluating the method employed so as to verify if the method is working out. It is imperative that whoever is involved in the process need to be aware of the company strategy and follow them through. After all selecting the right candidates is based on the company requirement. a. It helps to be proactive in approaching the recruitment process so that it allows the recruitment members to know what they need and how to approach. b. It gives time for them to prepare and allows them to get prepared for the event. c. By doing so, they have opportunity of listing out and selecting the right candidate to avoid desperate searches when someone quits. d. Moreover, if there is need for company to hire people for sudden upcoming event or to complement a surge in production, the listed file is ready to give employment well ahead. e. It allows the company to know where to find the right candidates and which method is best one. f. By such methods employed, it gives an appealing strategy that attracts many talents. g. Last but not the least, it lays down procedures and methods to be utilized to streamline the recruitment process avoiding any issues. You may be experiencing new candidates with good expertise walk into the door and leave their CV behind. Such candidates are probably working in another firm but looking out for better opportunities. For this, you have to make improvements in your methods to get to the right person and probably a list of talented candidates. Let us review some of them. To get right candidates, you would need to establish proper relations with recruiters, university placement centers, recruitment agencies. This helps you as a company to know the talents and experienced candidates as every year thousands are graduating. Hence by establishing good proper relations with such firms, you would be able to pool in better experienced candidates. You should make arrangement for your staff to participate in workshops, conferences and industry related professional association meetings to meet likely candidates for the company. Most of the time many experienced candidates participate in such professional associations to keep themselves updated or if they are interested in establishing links. Nowadays there are many online job portals that allow candidates to upload their resume. By googling through you could pick up good resumes and lure them in. After all every candidate is always on lookout for better opportunities even if they have a job. You may be aware that recruitment process is initiated through advertisements. Hence, get the right papers or magazines to advertise. But for professional candidates, it’s better to make use of scientific magazines and websites of professional associations. With today’s technology advancement, people have learnt to keep themselves updated not only for purpose of professionalism but also to get connected with same profession counterparts. Such is the case of LinkedIn and Facebook profiles. When selecting the candidate, it’s better to select the appropriate candidate who has already experienced working in the same style in exactly the same type of industry with similar culture. You could avoid spending on training needs. To be in the forefront of recruiting, it is better to be perceived as the best company. It all depends on how you retain, train staff, reward the best, recognize each work, promote, allow work-family balance, and involve with people working. Though recruitment process is part of the human resources section, it would be advisable to involve the concerned section to be also part of the process. You could allow their participation as well as to get the person who would fit the gap properly and stay committed. The process may include recommendation, review of qualifications and also be a part of interview process. When hiring right candidates, it is best to offer the best package to retain them as well. You may think to offer a lower pay scale and if the candidate is ready to accept, it is because he/she had to accept due to many personal reasons. But don’t be surprised as later on he/she would jump to another firm that offers better than you. Review what is the market trend and offer a better package. When you say benefits, it does not merely indicate pay checks. It could include medical insurances and retirement plans. There are other benefits like being flexible, showing interest in them, and taking care of their needs so that they are able to balance their work with life. Indicate to the probable candidate to lure him to the organization. Some companies have reward schemes for every achievement. If you don’t have, then try to implement with present employees and see the performance of their work. Achievements or monthly targets are linked to bonuses that triggers working cadre outperform. It would be better to indicate such schemes to likely candidates while making selection so that they are aware. It promotes your company’s image. Before making the selection, you would need to evaluate every candidate’s strengths and weaknesses. Hiring people who are trained is better than hiring people who needs to be trained. Another best way to recruit is to have a separate section for employment opportunities where candidates can address their queries and upload their resume. This way you would attract likely candidates as well. As part of the society that indulges in faking data, you need to take extra care while verifying the authenticity of the candidates qualifications. Moreover, you would need to do background work to ensure that candidates who are joining do not have bad records. Though you have made selection, there are other likely candidates who would similarly fit into the position. If you create a rapport with such candidates, in case of vacancy, you could easily contact them. There may be a set pattern of questions that hiring process would include. Probably these questions are not required for that particular job description. Instead of sticking to the regular one, you could make amendments to the set of questions or modify for those that would have different set of questions suited for the job. This would enhance the selection of right person. To enhance process of hiring, applying analytics to data obtained would be appropriate to make the right selection. It also allows the company to know which skill was best analyzed and its dominance. Hence, analyzing skills of the potential candidates is another way to make effective selection. You need to make note of the budget spent on recruitment process as setting up recruiting firms or involving agencies may take a toll of your budget. Frankly speaking there is no sure shot method for a perfect recruitment process. As every business sector is different, the recruitment methods or strategies also differ. But there are few obstacles or mistakes which most of the recruiters make. Now let us look at few top recruiting mistakes to avoid. You may need to avoid such process that eats up half your budget. 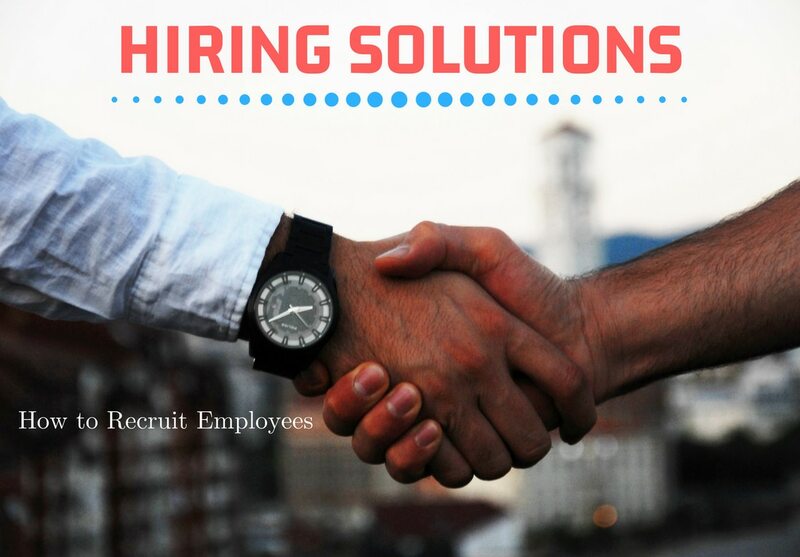 Like for instance sending your team to recruiting agencies while there could be simple hiring companies near your area or references from currently employed. Find out which is cost effective method and utilize those methods.